Follow Me Foodie to Kyoto, Japan! When you think of Japan you think of visiting Tokyo, which should no doubt be on the list. It’s a huge city with a population of 13.23 million and enough restaurants to keep up, so you could spend a lifetime in Tokyo alone. While Tokyo is the “centre” of Japan, the heart of it is spread out and it would be a shame to miss out on one of its most beautiful cities. Welcome to Kyoto, once capital of Japan and home of the emperor from 794 to 1868. As I mentioned in Follow Me Foodie to Tokyo, Tokyo’s food scene will give you a little bit of everything, but it is not necessarily the “food city” of Japan. It has the most selection, world-renowned chefs and Michelin Stars in Japan, but every region in Japan has a specialty. For example, Northern Japan is known for seafood, so Hokkaido is a prime destination for sashimi aficionados, although much of the top quality fish still gets shipped to Tokyo first. Tokyo is a fantastic food city with bright lights, high energy and top quality restaurants, but if you’re looking for a more traditional and ancient side of Japan (like what you would see in movies) then I highly recommend taking the bullet train (3 hours from Tokyo) to Kyoto. It’s a nice escape from the big city, although it is still the seventh largest city in Japan with 1.5 million people. Home to thousands of Buddhist temples and Shinto shrines, Kyoto is deeply rooted with culture, history and Japanese traditions. I visited in autumn (early-mid November 2013) which is peak season in Japan, along with cherry blossom festival in spring. The autumn is when all the leaves start changing colours and Kyoto is where people go to witness it, also because of religious seasonal rituals. Another two or so weeks and it would have been painted with red and gold leaves. Japan prides itself on its four distinct seasons believing it is more distinct than other cities and countries. Four seasons exist in other parts of the world with similar climate so I didn’t quite understand, albeit it is particularly defined here. The seasons are important in Japanese culture and part of it is due to religion and belief. Seasonal cycles symbolize death and rebirth, hence why spring and autumn are considered peak seasons. Shinto is one of Japan’s oldest ‘religions’ along with Buddhism, but it is approached as a spiritual thought and practice more so than a formal “religion”. Shinto beliefs are inherent in Japanese people and seen in many of their activities, philosophies, and even cuisine. To understand their cuisine is to look at their chefs and people who make it. Shinto believes that sacred spirits called kami exist in nature (rocks, trees, leaves and mountains) and the seasonal cycle is important. Seasonal ingredients depict the menu and presentation of a dish, and food must be in harmony with nature and the body. The food should show the beauty of the seasons and the emphasis should be strong enough to be appreciated visually and felt by the diner. Eating seasonally is also healthy. As much as seasonality is a global food movement, the Japanese have been doing it for centuries, unlike much of North America who jumped on the “eat local” movement a bit later. The Japanese really celebrate their seasons and certain foods representing specific seasons are used immensely, like ginkgo nuts in the autumn and fresh bamboo shoots in the spring. Since Japanese cuisine is based on simplicity and natural flavours, the highest quality ingredient at its peak of freshness and/or ripeness, is rarely jeopardized. I wrote more about this mentality and cooking philosophy in Follow Me Foodie to Japan: about Japanese People, Culture & Food. In the same article, I mentioned the idea of Japanese food in Vancouver. Unfortunately it does not really go beyond sushi, izakaya, ramen, teriyaki and tempura, and Vancouver is already known for a pretty decent and good Japanese food scene in North America. Many people visiting Japan may seek these items, which is natural, expected and great, but there is so much more to Japanese cuisine than the listed. Not every city in Japan is known for sushi, just like how not every city in Italy is known for pizza; and sushi, just like pizza, varies from region to region. For example, in Kyoto there is Kyoto style sushi which is different than Edo style sushi. There are many more examples, but knowing the specialties of each city maximizes the food experience. Here is a great chart to follow. What to eat in Kyoto? I had limited time in Kyoto, so let this be a rough guideline and general idea of what to eat. There are more regional specialties than what is listed, but these are either significant to Kyoto’s food scene or considered “must tries”. 1) Kyoto-style Sushi – I didn’t even know it existed prior to this trip. 2) Tofu & Vegetables (Shojin Ryori) – Buddhist cuisine and/or Japanese style vegetarian cooking. Since it is the home to so many temples and shrines, much of the cuisine is catered for and sometimes by Buddhist followers and monks. 3) Kaiseki Ryori – a traditional Japanese multi-course dinner. In a Western context, it is similar to a tasting menu from a fine dining restaurant. 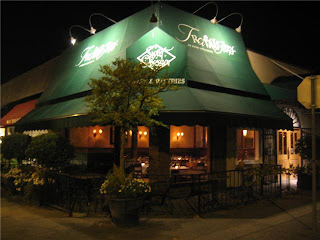 There is an emphasis on local and seasonal ingredients and artistic presentation. It is often garnished with fresh flowers, real leaves and seasonal objects found in nature. Ryokans (Japanese style hotels) are where tourists typically enjoy them, but there are other options for it. 4) Maiko Dinner Show – Kyoto is known for Maikos (apprentice Geishas), so a maiko dinner show is worth experiencing. The interactive dining experience typically includes unlimited alcoholic and non-alcoholic drinks, dinner, and entertainment such as music and dancing performances and drinking games. See more Kyoto styles of dining. Being that it was my first time in Kyoto, there could be better for the following. They are not necessarily “the best” (which is too personal) and this is not a “holy grail”, but they were recommended by Japanese chefs, trusted sources, and friends who either spent time in Japan exploring food, or were/are born and raised there. I tried a lot more food from each restaurant than the photos I’m showing, but this is just a glimpse. Izuu is most known for Saba-sugata-zushi, a Kyoto-style of pressed sushi. The saba (mackerel) is fermented in sushi vinegar, packed with sushi rice, and then wrapped with pickled kombu (kelp). The pickled kelp on the Saba-sugata-zushi is thicker than on the Tai-zushi, so it is meant to be removed and eaten separately and after. 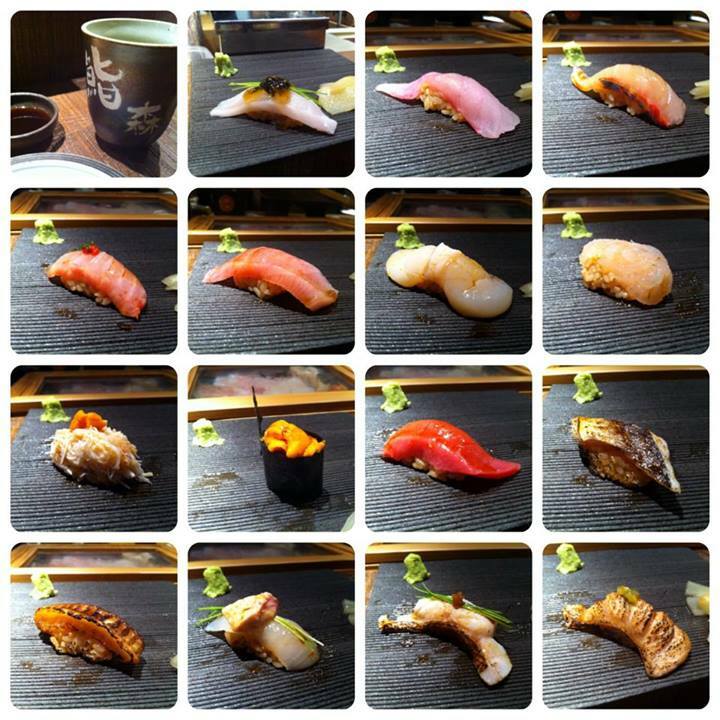 Notes: There are two well known restaurants specializing in Kyoto style sushi and specifically mackerel sushi (delicacy in Kyoto). Izuju is one of the most popular and known to locals and tourists, and the chef actually trained at Izuu (where I went). Izuu is a hidden gem and it is equally as good if not better (from what I hear) than Izuju. Izuu actually offers a more sophisticated ambiance whereas Izuju is a bit more casual. Both are well respected for Kyoto style sushi. Izuu is harder to find and known to Japanese locals more so than tourists, and it’s also open later. A visit to Nishiki Market is a must. It is a nice introduction to Kyoto specialties and a great place for edible gift shopping, ingredient sourcing, or a quick and casual meal. It’s five blocks of restaurants, food stalls and retailers. There are some artisan food shops, Japanese knife stores, and clothing retailers, and there is something to suit every budget. There are a few stalls specializing in tamago (Japanese style layered omelet) and they are good, but not necessarily “the best“. A good tamago is compact and you can barely see the layers and folds. I squished mine to show the texture a bit more. It can be seasoned with dashi, sake, and/or sugar so it can be savoury or slightly sweet. It is commonly enjoyed for breakfast, in sushi, or as a last course at a sushi restaurant. It sounds basic, but traditionally one judges a sushi chef’s skills on his tamago and chefs can spend a lifetime mastering the art of making it. This artisan sesame shop (top photos) made me fall in love with sesame all over again. I came back three times over two days to stock up on sesame specialties. It was some of the most fragrant and high quality sesame I’ve had, but I don’t visit sesame shops often enough to say that coming from an “expert” level. Here, I was taught to pound sesame seeds instead of grind them. The artisan mochi and warabi-mochi shop (bottom photos) is also worth visiting. They specialize in mochi and warabi-mochi which is different than traditional mochi made from glutinous rice flour. Warabi-mochi is a specialty sweet of Kyoto and the Kansai region. It is softer and more jelly-like than mochi. It is made with bracken starch and coated with sweet roasted soybean flour (Kinako), and the one here was matcha kinako. Imitation Warabimochi is made with cheaper potato or tapioca starch, and in Northern Japan this sweet is eaten differently and a bit deconstructed. The warabimochi is dipped in warm brown sugar syrup and then in kinako, as if it were fondue. Warabimochi is almost like Japanese Turkish delight. Notes: Okonomiyaki is famous in Osaka, so if you have time, take a 30 minute ride on the bullet train to Osaka from Kyoto. However if you don’t have the time, you can try it in Kyoto too. This is not “the best“, but it’s very good, recommended by locals, and they specialize in it. Notes: This is perhaps the most famous matcha tea shop and parfait cafe in Kyoto. The Japanese are obsessed with parfaits and they put their own twist to them with Japanese ingredients. The signature Tokusen Tsujiri parfait ($13USD) featured agar jelly, matcha syrup, vanilla ice cream, matcha sherbet, rice dumplings (mochi), azuki bean paste (red bean), matcha ice cream, matcha jelly, chestnuts, matcha castella (Japanese sponge cake), and matcha whipped cream. They also offer house made matcha flavoured warabi-mochi (bottom right photo) which is a sweet famous in Kyoto. I wrote more about finding it at Nikishi Market above. Notes: This is an institution in Kyoto for konpeito (Japanese rock sugar candy). It is found all over Japan, but Kyoto is known for it. The factory-made mass produced konpeito is very cheap, just like American candy. Ryokujuan Shimizu is one of the few remaining artisan konpeito shops in Kyoto, if not the only one. The flavours are unique like Jersey milk, and shiso, and you can sample before you buy. It is a tiny shop with a usual line up, but it was very quiet when I visited. Gion Hatanaka’s “Kyoto Cuisine and Maiko Evening” was one of the highlights in Follow Me Foodie to Japan. The interactive dinner show includes entertainment, all you can drink alcohol/non-alcholic beverages and a multi course Kaiseki Ryori style dinner. The intimate show is translated in Japanese and English. It is popular with tourists, but locals come for special occasions or if they are hosting guests/entertaining clients. This high brow cultural experience is unique to Kyoto since the city is known for Maikos (apprentice Geishas). The job of a Maiko/Geisha is to entertain guests while dinner with traditional Japanese dancing, drinking games, conversation and traditional Japanese arts. Throughout the show there are about 2-3 drinking games and dinner guests are invited to play them with the maiko. All games are explained in Japanese and English and prior to that there is singing, dancing and music. It is informal, but traditionally a maiko or geisha evening would be formal. It is 18,000 yen per person (limited to 40 seats, one table seats 2-4 persons) which is about $176USD. It sounds pricey, but it is more than worth it especially since it would be $500USD+ if you hired a geisha and that would not include the dinner. The dinner is excellent and expertly prepared by their highly trained chef who is known in Kyoto for haute cuisine. It is also all you can drink and the show is 2 hours, so pace yourself. It is time and money well spent and I would highly recommend this to anyone. If I had the power to give a Michelin Star to a non-Michelin rated restaurant I visited in Follow Me Foodie to Japan, I would have given it here. Without a recommendation or research it is near impossible to come across it on your own. It’s tricky to find and “hidden gem” does not do it justice. It is more than a gem and on par with my experience at Gion Hatanaka’s “Kyoto Cuisine and Maiko Evening”. It’s not surprising either since this is Gion Hatanaka’s sister business and extension of their Japanese style boutique hotel (ryokan). I wish they had vacancy while I was visiting or I would have stayed with them too. This 12 seat fine dining restaurant is operated by the same chef as the Maiko dinner, Chef Yoshihiko Yano. He specializes in traditional Kyoto style cuisine (Kaiseki Ryori). Learn basic Japanese or have a translator. Hire one or download one. Learn how to eat sushi. Free wi-fi is extremely rare, so rent a portable wi-fi device at the airport or buy a data plan. Purchase your Japan Rail Pass before getting to Japan if you plan to travel to many cities. If you’re only in Tokyo, there is no need. Experience 1-2 nights in a ryokan (Japanese style hotel). There is no tipping, even at nice places. @Dexter – Damn!! I missed Osaka, but you should be trying okonomoyaki and takoyaki there. It’s their specialty! Did you see my HK posts?? Try Mizuno or Kuro-Chan for okonomoyaki because I hear it is good there. There is also an Osaka Takoyaki Museum. @Mijune – I have seen them! Been following my relatives for dinner mostly, so unlikely to try Bo Innovation even though I’m a fan of molecular gastronomy. So far my favourite place has been Sushi Mori on Caroline Hill Road. I got to try a 15 piece set course with amazingly high quality seafood, pictures here: http://i.imgur.com/cZJ1CDN.jpg Might get to try out Island Shangri-la’s buffet too. @Justin – As for Japan, we’re definitely considering a day trip to Kyoto. I’m looking up the train fares right now! In Kyoto for the first time and found your blog. What a life saver! 😉 Thank you Mijune for making some spot on recommendations! I will be sure to read the rest of your blog. @GMO – Thank you for taking the time to leave a note!! 🙂 Happy! Enjoy your trip. Your critiques, descriptions and photos are making my mouth water!! Thank you so much for such clear, helpful recommendations. We head for Tokyo, then Kyoto on 26Dec and I will be reporting back. So excited!!! @Julius – thank you for taking the time to leave a comment!!! YAY!! So excited for your trip! Hope this helps you with the food section 🙂 Happy Holidays Julius! however, i was just wondering what the place of the Artisan sesame shop was with the photos on the top ? Thank you for your blog! I can’t wait to go to Kyoto. HI Mijune – so glad to have found this blog! Going to Kyoto end of this month with a 3.5 year old (the crowds!) Would you by any chance know if Izuu/Izuju, Gogyo and Ishi Bekoji Kamikura allow children? I dearly hope so as the food looks mouth watering…..
Just went to Gogyo, there were kids there. It was really good.